If you’ve ever thought yourself, “What is a pregnancy test?” or, “How do you detect pregnancy?” then this article is for you. There are different ways to test for pregnancy, such as the classic at-home pregnancy test or blood test administered by a doctor. Read on to learn more about different pregnancy tests and resources for pregnant women. What are the types of pregnancy tests? Pregnancy tests do exactly what they think they’d do: they test to see if a woman is pregnant. It is typical to suspect pregnancy when certain symptoms arise, such as missed periods, nausea, or swollen and sore breasts. If you experience any of these symptoms or are trying to get pregnant, there are several ways you can test for confirmation. Yes, this is the “pee-on-a-stick” method. These kinds of pregnancy tests are affordable and easy to access and can be purchased at most convenience stores or drug stores. Depending on the brand and kind of Home Pregnancy Test (HPT), you can take the test on the first day you missed your period. 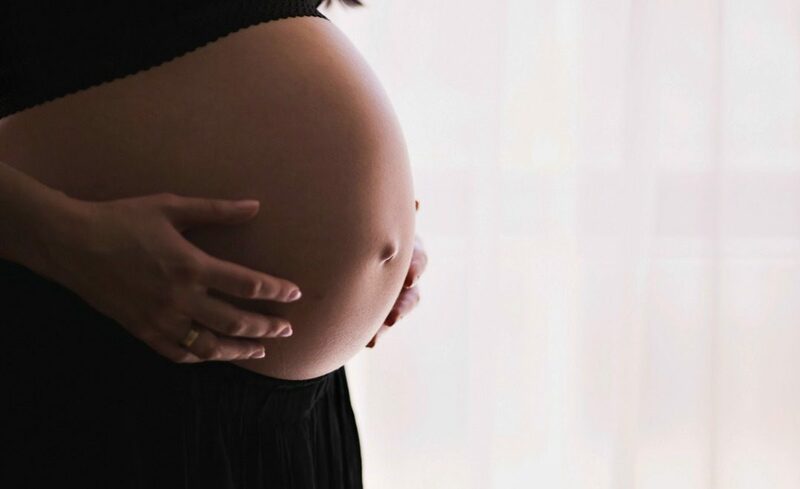 There are some tests on the market with a higher sensitivity and ability to detect pregnancy even earlier, before the first missed period cycle. These tests look for the presence of a hormone in your urine that only exists in the body during pregnancy: human chorionic gonadotropin (hCG). After peeing on the stick, it can take an average of five to ten minutes for the results to appear. The hCG hormones are usually at higher levels in the body earlier in the morning, an HPT to confirm pregnancy can get more accurate readings if taken toward the beginning of the day. The results are usually accurate when the tests are taken and read properly, though it’s usually better to take more than one and then schedule a visit to your doctor or pregnancy clinic to confirm and take next steps. HPTs can show a false negative, meaning it reads that you’re not pregnant when you are because of an error with the test or off balance hormone levels in your boy. It may also appear as a false negative if you take the test too earlier on in your pregnancy. Clinical urine tests act in a very similar way to home pregnancy tests and can have the same level of accuracy. Since these tests are administered by a medical professional, they may be able to ensure that the proper steps are taking throughout the testing process to avoid errors or inaccurate results. Depending on your insurance coverage, clinical urine tests can cost more than HPTs. For women, there are two kinds of blood test you can take to confirm a pregnancy, both dealing with the hCG hormone. A qualitative hCG blood test, which looks to see if there is any of the hCG hormone present in the blood at all. If there is hCG, you are pregnant, and vice versa. A quantitative hCG blood test, which determines the exact level of hCG present in a person’s blood. This is the most accurate type of pregnancy test. Knowing the specific hCG levels present in your body can help determine how far along you actually are, especially if it’s hard to tell by other methods. Blood tests, on the one hand, have a higher accuracy at determining pregnancy than a urine test, and they can also detect hCG levels sooner than urine tests. Once any one or more of these pregnancy tests are taken, it is best to schedule an appointment with a doctor or pregnancy or women’s health clinic to check the progress of your pregnancy with an ultrasound. It’s also to research what vitamins you should be taking and what food and substances you should be avoiding. There are the obvious thing like no smoking or drinking and cutting back on caffeine, but there is also a list of foods you should avoid while pregnant, such as raw fish (aka: sushi) and soft cheeses. Did this help answer the question, what is a pregnancy test? Don’t hesitate to contact us to inquire about our services. We’d love to help!